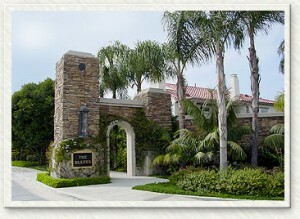 Edwards Hill is located just east of the Seacliff area in Huntington Beach approximately 1 mile to the beach. Although it is technically part of Seacliff, it is an area all to itself. The community consists of 6 different tracts (Names listed below), all but 1 (The Bluffs) are not gated there is an HOA which maintains the streets of the communities. Some areas have a low Mello-Roos tax. Edwards Hill is known for its larger lot sizes and horse properties. 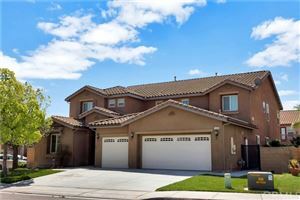 This area is equestrian friendly and has horse trails throughout the community. Below is information on each community in this area as well as the floor plans. Built in 2000 this neighborhood is the only gated community within the Edward Hills area and includes a 24 hour guard on duty at all times. 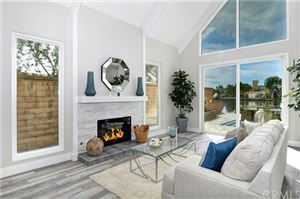 Consisting of 85 homes – 59 built by Lennar ranging from 3,900-4,500 sq/ft and 26 built by Manning ranging from 5,435 – 6,219 sq/ft the lot sizes in this community are the largest within Edwards Hill with some of the homes offer ocean views. The Hamptons 1 & 2 consists of 122 homes built by New Urban West in 2000-2002 ranging from 2,650-4,003 sq/ft. There is no Mello-Roos. The Hamptons 1 streets are Caddington Cir, Derby Cir, Faircross Ln, Livingston Dr, Silverbit Ln and Turf Dr.. The Hamptons 2 are the same plans but have much larger lots. The streets are Academy Cir, Churchill Dr, Faircrest Dr, Rockinghorse Ln and York Ln. Central Park Estates consists of 57 homes built by Dahl Company in the late 1980’s-Early 1990’s ranging from 2,753-4315 sq/ft. Some areas have a low Mello-Roos tax. Central Park Estates 2 streets are Horseshoe Ln and Silverspur Ln. Central Park Estates 4 streets are Derby Cir, Jockey Cir and Saddleback Ln. County View Estates consists of 36 homes built by Linbord-Dahl in the late 1990’s ranging from 2,409 -3,968 sq/ft. The streets are Shetland Cir, Shire Cir and Trotter Cir. Heritage consists of approximately 30 homes built by Southwestern Diversified in the Early 1990’s ranging from 3,243-4,585 sq/ft. The Streets are Alamitos Cir, Churchill Dr and Pimlico Cir. Triple Crown Estates consists of 23 homes built by Heritage Communities in approximately 2000 ranging from 3,273-4,223 sq/ft. The Streets are Preakness Dr and Steeplechase Cir.